WHAT TO EXPECT This sea kayaking course is designed to help those who have some kayaking experience and want to really start to develop their skills and knowledge. The Arisaig coastline offers some classic longer day trips that we can tackle or we have plenty of scope to introduce you to rougher water or more advanced skills and knowledge. We will offer sea kayak coaching on an individual basis to help you build sea kayaking confidence and skill. 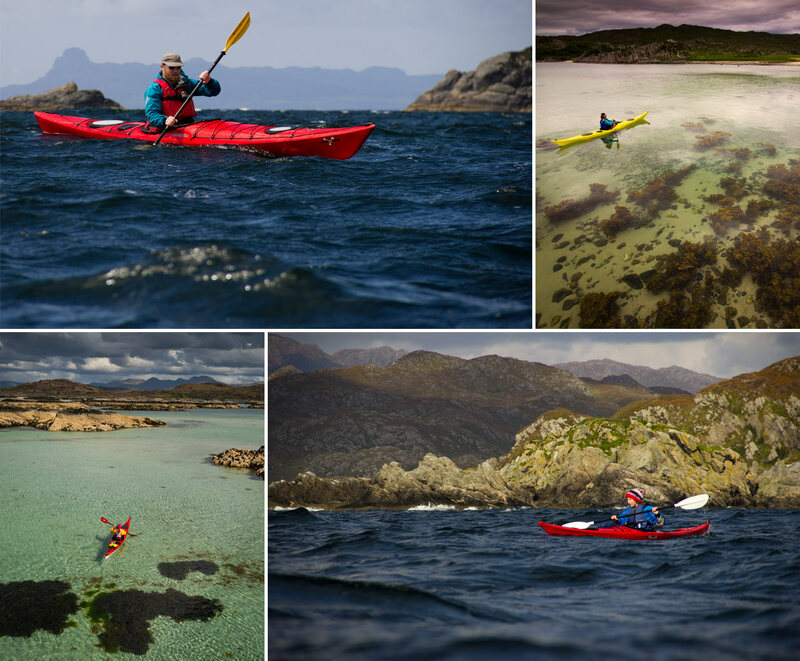 TRIP HIGHLIGHTS A 2 day intermediate sea kayaking course, based on 2 consecutive day trips in the Arisaig area. 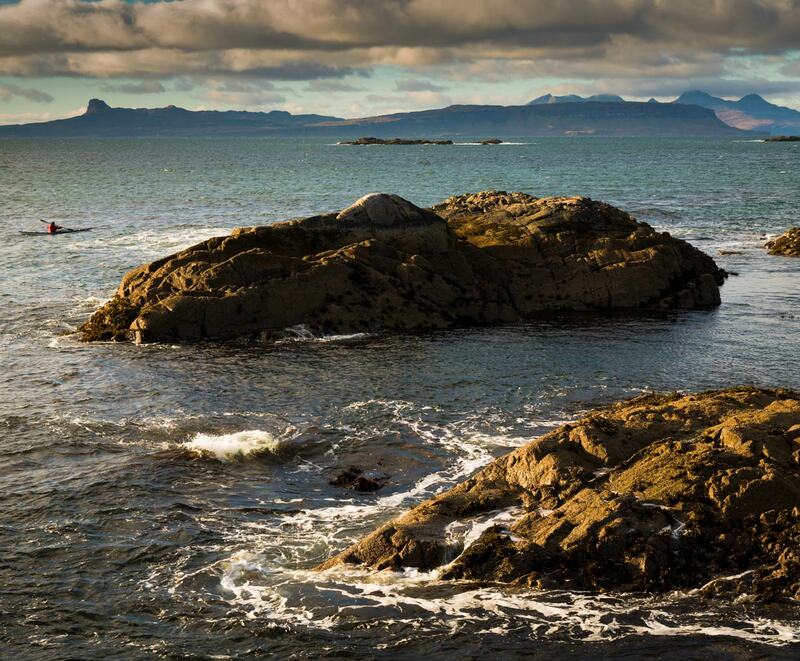 Explore the Arisaig coast on more advanced journeys. Choose accommodation that suits you - hotel, B&B, hostel or camp. A great way to prepare yourself for more advanced trips. Build on your existing skills and develop your sea kayaking knowledge. CHALLENGE These trips are perfect for those who have some sea kayaking experience and confidence and want to build on their existing skills, or want to experience a journey that may involve some more challenging conditions. These trips may involve full days of sea kayaking up to 15km and some rougher conditions (distances and conditions always vary). You should ideally already have some prior experience and confidence in a sea kayak. These trips can also be suited to those with little sea kayaking experience but who have experience in another paddlesport such as white water kayaking or canoeing. Progressive skills and longer journeys. This trip can also be run as a private trip if you have a group of 4 or more. Shown as a guide, each trip has its own story, plans are always open to change. *BUILDING SKILLS AND KNOWLEDGE - We'll take some time to establish the needs of the group and set out a plan for the weekend. The focus will be on having a good time sea kayaking but also finding challenges and situations that will help you develop as a sea kayaker. We'll keep a careful eye on conditions and combined with our local knowledge we will be able to find some excellent places to paddle. 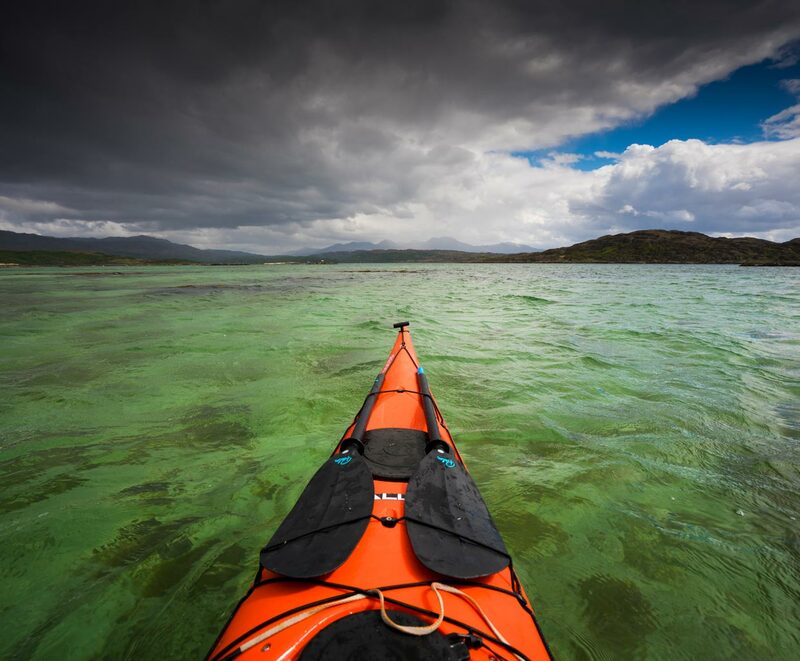 We'll spend both days journeying in the Arisaig area - there are loads of possibilities for intermediate paddlers and we could take on longer journeys such as a circumnavigation of Eilean Shona. Over the course of these journeys we'll tackle challenges as they arise, offering coaching to help you build on existing skills and learn new things on the way. If you are thinking about doing any longer or higher graded guided trips or would like to progress to owning your own kayak then this course would form valuable preparation. ACCOMMODATION No accommodation is included, feel free to check our accommodation page for ideas about where to stay. FOOD No food is included - make sure you bring some lunch, there is a shop in Arisaig. START AND FINISH Meet at Arisaig at 09.30, Finish at 16.30 Arisaig. GROUP Up to 6 people with one guide, or 10 people with two guides. KIT LIST Our Day trip kit list applies to this trip.  All specialist kayaking equipment can be provided. TRIP GRADE This is trip is ideally suited to those who have some experience and confidence in a sea kayak and are keen to explore more challenging day trips or develop their skills. The days we complete as part of this trip ma be longer, up to 15 - 20km, or we may seek out rougher water to help develop your skill and experience. This trip is useful for those who want to complete a more challenging trip or expedition but feel they need some more coaching or experience first. Who else will be on the trip? Individuals, couples or small groups of friends. This trip is not suitable for families. Will I improve my sea kayak skill and knowledge? A lot of learning about sea kayaking comes from experience and is best done as individuals on the move and in context. We won't spend time on long instructional briefings or static group skills practice but will give you hints and tips on the journey to make it easier for you and suggest improvements to your technique as we go along. We'll help you develop your knowledge and sea kayak handling skill throughout the trip but also allow plenty of time simply to enjoy the journey and the experience of sea kayaking. The weather on the West coast of Scotland can vary through the course of the season and from area to area - Scottish islands and coastline can see dramatically better weather and more sunshine than more mountainous areas inland. The wind speed and sea state are the primary factors that affect the trip - if the conditions are difficult then we will seek out a more sheltered section of coast to run the trip. You should note that it is very rare that we have to stay off the water on multi-day trips and the vast majority of trips run as planned. For full terms and conditions see the link below. You can read more about the weather/cancellation/booking on our FAQ page. Midges are most active during mid summer, although it only takes a light breeze or direct sunlight to keep them away and they don't venture out onto the sea so most of the time they are not something we experience a problem with. However, they can be present in mid-summer in still and overcast conditions so bringing a midge head net and some repellent such as smidge (no DEET products allowed) is a necessary precaution. What is your payment schedule and cancellation policy? A 25% deposit is required at the time of booking, the balance is due 6 weeks prior to the trip, for cancellation policy please see our full terms and conditions. We have a much larger FAQ page that covers all aspects of sea kayak trips with us.